Skagen — a renowned wristwatch brand — has previously dabbled in the concept of smartwatches. However, its products in the category thus far were the so-called “hybrids” — a classic watch with mechanical parts, which hides a few wearable-specific sensors under its hood. 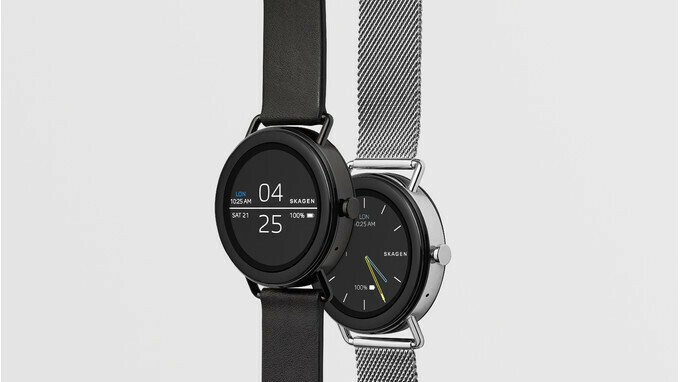 So, while Skagen's hybrids can count your steps and measure your heart rate, they don't offer that fully-fledged, all-out geek smartwatch experience. Skagen's owner company — Fossil Group — hasn't shied away from talking about a partnership with Google, which would result in classier-looking Android Wear watches. And now, we have more products to come from that partnership. The new watch is called the Skagen Falser. It comes with a fully round display in a 42 mm case and rocks that minimalistic, yet stylish look that Skagen is well-known for. It'll be available with either a leather or a metal mesh. On the inside, we've got Qualcomm's Snapdragon Wear 2100 powering the watch and Android Wear 2.0 running the show. The watch is compatible with Android 4.4 and up or iOS 9 and up. Yes, you read that right, there's an Android Wear app on the App Store — in case you've forgotten or missed that. The Falser will be launching this January and will be priced at $275 for the leather strap edition and $295 for the metal mesh variant. Although I like the design of this watch, I feel like the Huawei Watch 1 is still the best design to date when it comes to a smartwatch. I just want a minimum bezel, great battery life smartwatch but I might have to wait another few years for that to come to fruition due to battery limitations. If you disable the default of always on display. Then you can usually double the battery life of any Android Wear smart watch. Try LG Watch Urbane 2nd Edition LTE. 560mAh battery life which lasts for 2.5 to 3 days with LTE on, 1.4" full-circle OLED screen with small bezels. The only con is that you cannot change straps (the strap includes antenna to make room for larger battery). The big question: Does it have NFC?